The last of Raghad’s three life-saving operations took place on her first birthday of all days. Thanks to the surgery, the little girl from Syria was able to celebrate not only the start of her second year of life but also the first step towards a normal life. When Raghad was born in April 2015, doctors diagnosed her with a severe heart defect. The idea of her being able to have a life-saving operation in a country experiencing a civil war was inconceivable. A dedicated acquaintance was able to get Raghad and her father to Germany where the association ‘Erlangen hilft’ provided them with valuable support over a period of several months. Raghad’s two emergency operations in August 2015, subsequent treatment and further surgery were taken care of by doctors and nurses at the Department of Paediatric Cardiac Surgery at Universitätsklinikum Erlangen and funded by Aktion Kinderherz OP – an initiative financed by generous donations from the citizens of Erlangen and the surrounding area. ‘That my daughter is alive today, that she laughs and I can see her grow up, that is thanks to the enormous help we have received,’ says Raghad’s father Ayman. ‘From the staff at the Department of Paediatrics and Adolescent Medicine at Universitätsklinikum Erlangen, to the authorities in Erlangen, the association and many private individuals: so many people have supported us.’ In addition to the donations and medical care, the kindness and moral support that they received were particularly important, as Raghad and her father have been apart from her mother Ghufran and sister Riem, now ten years old, who are still in Syria, since making the difficult journey to Germany. ‘It has been very difficult for them at times,’ says Dr. Faidi Omar Mahmoud, deputy chairperson of ‘Erlangen hilft’. ‘When Raghad was admitted to the hospital late one evening around nine months ago she was critically ill,’ Prof. Dr. Sven Dittrich, head of the Department of Paediatric Cardiology at Universitätsklinikum Erlangen, remembers. The first examination confirmed the diagnosis that Raghad could die if she did not have emergency surgery. ‘The aortic valve and the aorta itself were extremely narrow. Most of the blood was accumulating in the left ventricle and the atrium,’ explains Prof. Dr. Robert Cesnjevar, head of the Department of Paediatric Cardiac Surgery at Universitätsklinikum Erlangen. The paediatric cardiologists first corrected the narrowing of the aortic valve using a balloon catheter. The next day the heart surgeons performed the first operation, which lasted several hours and involved correcting the narrowing of the aorta and subsequently sewing the healthy ends of the aorta back together. After this surgery the only remaining problem was the defective valve in the left ventricle. Over the following months, the functioning of the narrowed aortic valve (the semilunar valve between the left atrium and the aorta) and the leaking mitral valve (the atrioventricular valve between the left atrium and the left ventricle) worsened. 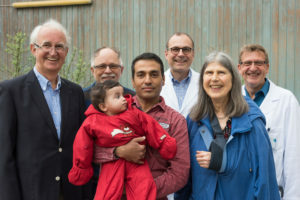 This resulted in a lung infection due to the back-up of blood caused by the heart defect, and Raghad was readmitted to Universitätsklinikum Erlangen for another emergency operation. During the surgery the defective mitral valve was replaced and the aortic valve that had been widened with the balloon catheter was repaired using a patch. The little girl recovered very quickly after the surgery. However, a few weeks later the prosthesis that had been inserted partly tore away, most likely as a result of an infection. The affected valve was replaced in April and Raghad recovered without suffering from another infection. 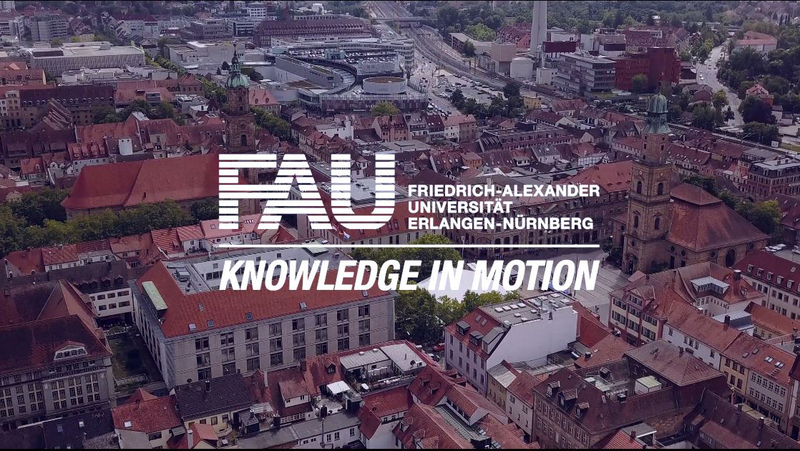 Aktion Kinderherz-OP is an initiative that was set up by the Department of Paediatric Cardiology and the Department of Paediatric Cardiac Surgery at Universitätsklinikum Erlangen. Its aim is to treat children from abroad with severe heart problems in Erlangen. As it is a public law institution, Universitätsklinikum Erlangen cannot fund the initiative using its own finances and therefore relies on donations. The money that is donated is used exclusively for the medical treatment, without any deductions for administration or other fees. The association ‘Erlangen hilft’ was established ten years ago and is committed to helping children and young people with severe and life-threatening diseases from areas suffering from conflict, crisis and natural disasters who cannot be treated in their home country.